Not only is it educational but also gives students a visual for that month so they know exactly what to expect. I used a blank calendar template that I found via a google search. I copy and pasted it into word and added a "key" text box. I change the key items as necessary each month. 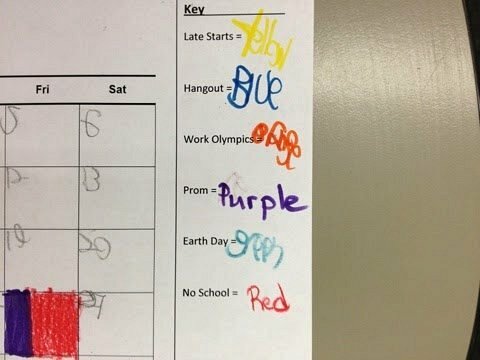 As a class we assign colors for the big events happening that month ( found in the key). I also have students fill in the numbers on their own because it's good practice. After we have assigned our colors to the events in the key we talk about the month and color in our calendar accordingly. I like to tell students things like, "earth day is the day after the 21" or " our late starts are the two middle Wednesdays in April." 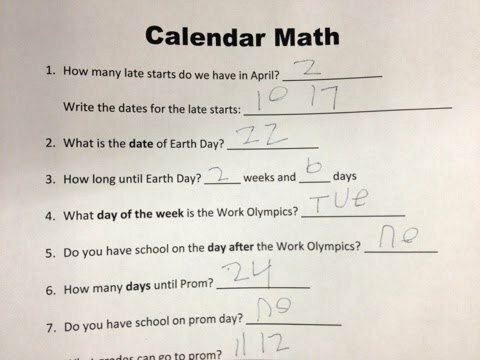 Once we are finished with that as a class, I give students a worksheet based on the calendar. I use the basic one each month and just adjust it to fit into that month- super easy, takes me like 2 minutes if even that long. So that's it! We revisit the calendar throughout the month as students have questions and when things change. 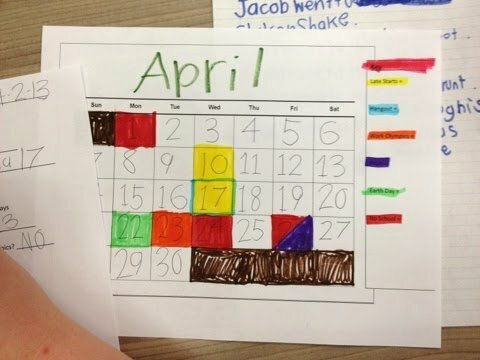 Do you do anything similar for calendar math instruction? UPDATE: I have created a monthly calendar TpT product that you might be interested in if you like this product! I have since been moved to a lower level class, so the product includes activities for lower ability students, and I also included higher level skills as well, so hopefully it will be a good mix for most classes! Check it out here. I think that's a great idea. I love how you really suit it to your students' abilities. Now i'm visiting your site! I love this idea! We do a morning calendar each month as well, but just write in the days and events. Love doing the "key". 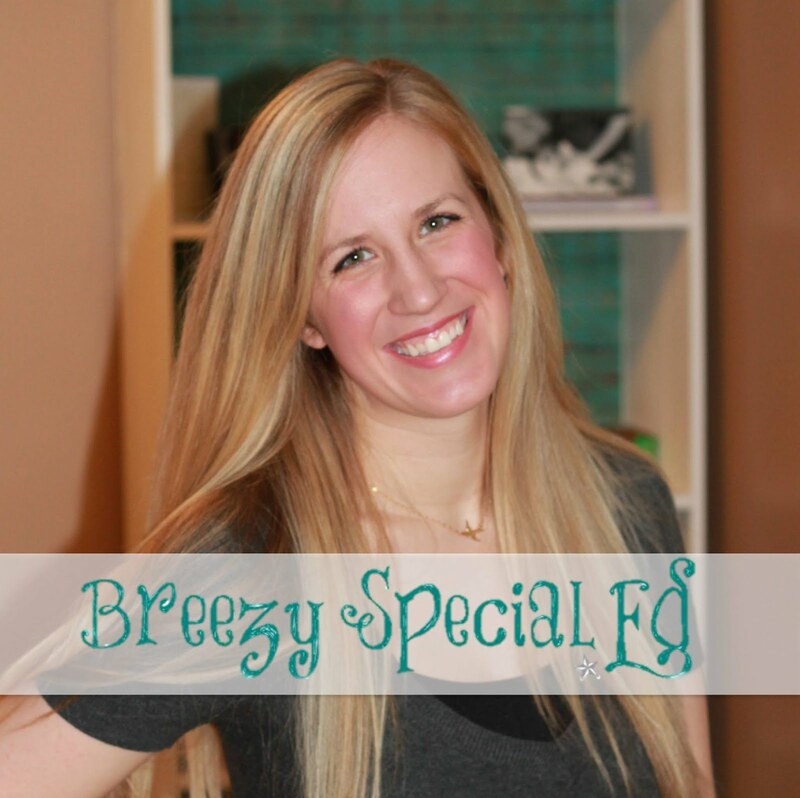 Can't wait to check out the rest of your blog! Not very often you find others that teach close to what I teach.